Aroma Seacrets Nutmeg Oil is rejuvenating, uplifting and energizing. 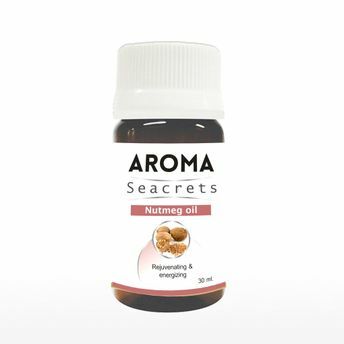 Nutmeg essential oil is used in aromatherapy to fight inflammations and muscle as well as rheumatic pain, while assisting the digestive system and supporting the reproductive system. The oil has shown good anti-inflammatory action, and is also successful in relieving pain, especially muscular aches and pain, as well as rheumatism.